Please complete the form below and your enquiry will be sent directly to Peace Valley Guesthouse via email. Your enquiry has been sent to Peace Valley Guesthouse. Peace Valley Guesthouse is set on a sprawling estate in the heart of Napier in the Western Cape. It offers superior 4 star accredited bed and breakfast accommodation in addition to self-catering facilities for those wishing to have a DIY weekend away. Peace Valley Guesthouse is all about relaxation, de-stressing and unwinding from the rigours of city living. We offer a tranquil haven where you can be sure to enjoy your stay in peaceful and natural surroundings. The Guesthouse is in close proximity to trendy small restaurants, pubs and interesting shops, museums and art galleries displaying the work of several local artists. There are easy hiking and cycle paths, so don't forget to bring along your mountain bike if you're feeling energetic. We are within easy driving distance to surrounding towns and villages which makes us a central point from which to explore beaches, whales, nature reserves, arts and craft routes, hiking trails and spectacular scenery. 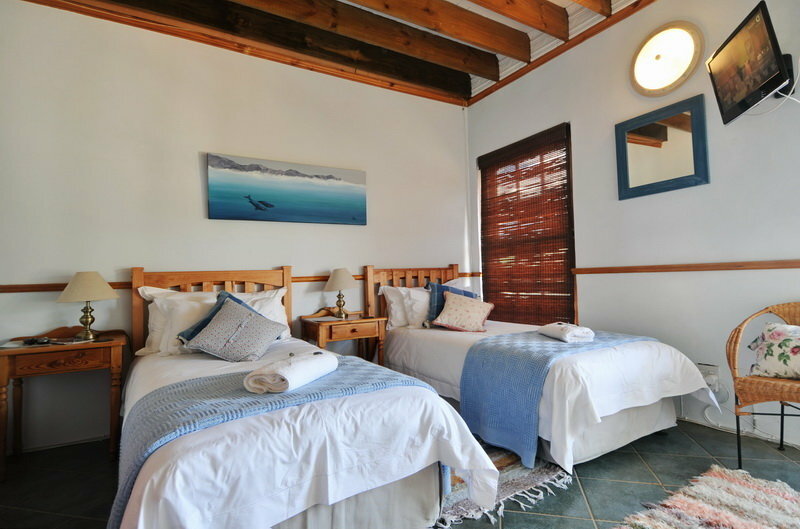 Peace Valley Guesthouse is an ideal stop-over for those visitors wishing to continue to explore along the Garden Route. "To experience the Overberg is to re-awaken to the joy of life"